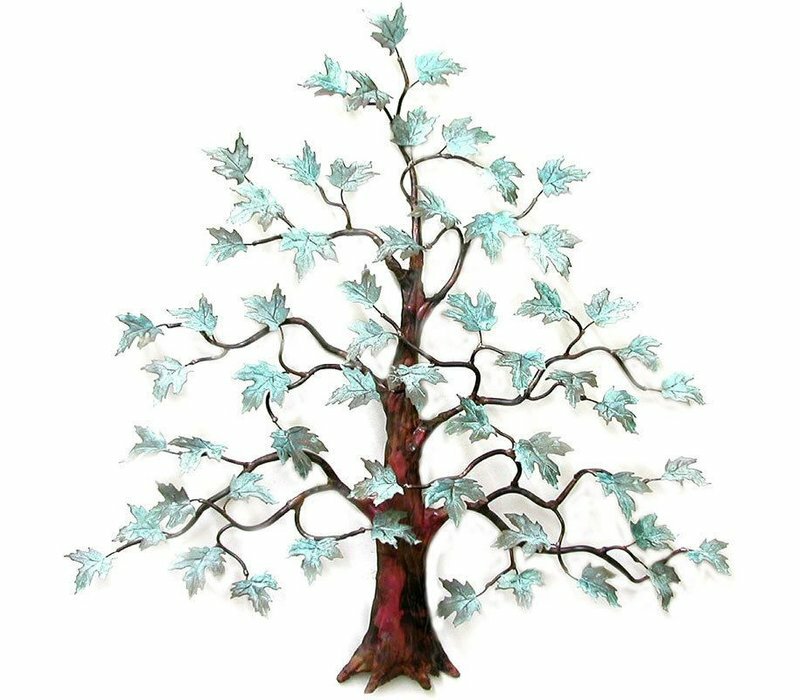 A fresh, original nature design , this Stainless Steel Leaves on Copper Maple Tree Wall Art is created by by skilled artisans. 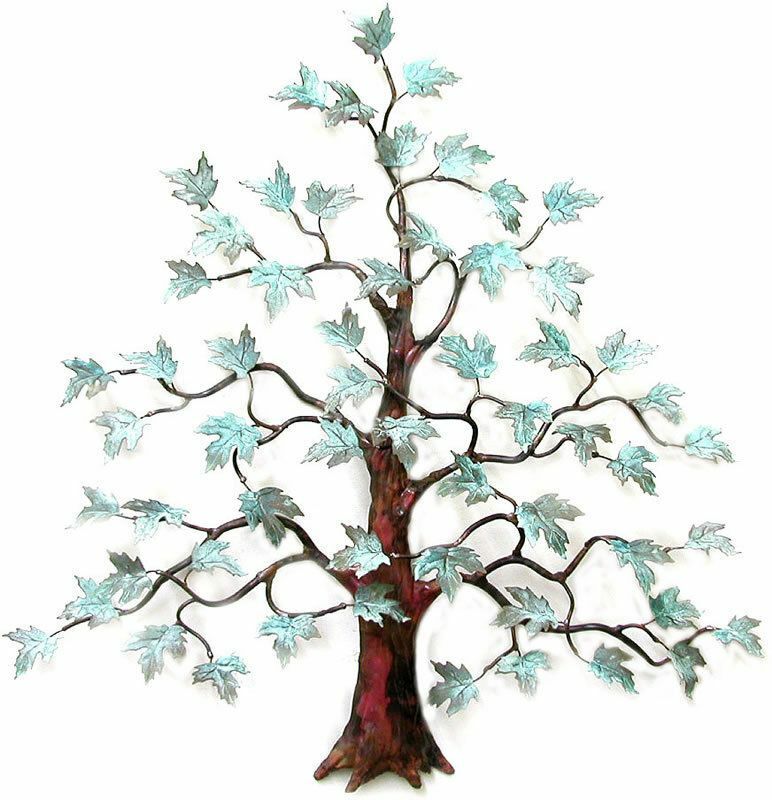 An elegant, silver and copper-toned piece for any wall, this sculpture features intricately crafted stainless steel leaves fused to a copper sculptural tree trunk and branches. Approximate size: 26" x 24" x 4"